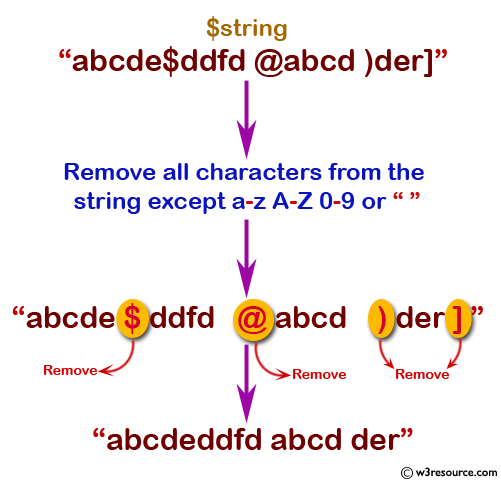 PHP Regular Expression Exercise: Remove all characters from a string except a-z A-Z 0-9 or " "
Write a PHP script to remove all characters from a string except a-z A-Z 0-9 or " ". 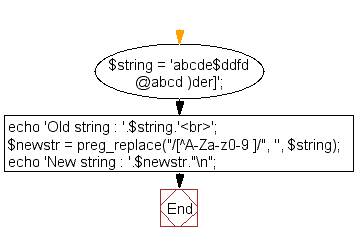 Previous: Write a PHP script to extract text (within parenthesis) from a string. Next: PHP Date Exercises Home.